It is with great sadness that the family of Donna Mae Heinle announces her passing on Saturday July 7, 2018 at the age of 65 years. Donna had many hobbies; she especially loved her dolls, she had a room filled with them, she also enjoyed to go rummage sale shopping, embroidering, reading and crossword puzzles. Donna will be lovingly remembered by her husband of 43 years, Ernest Jr.; her son, Paul (Heather); her daughter, Judy; her grandchildren, Hunter, Alexis and Callie. 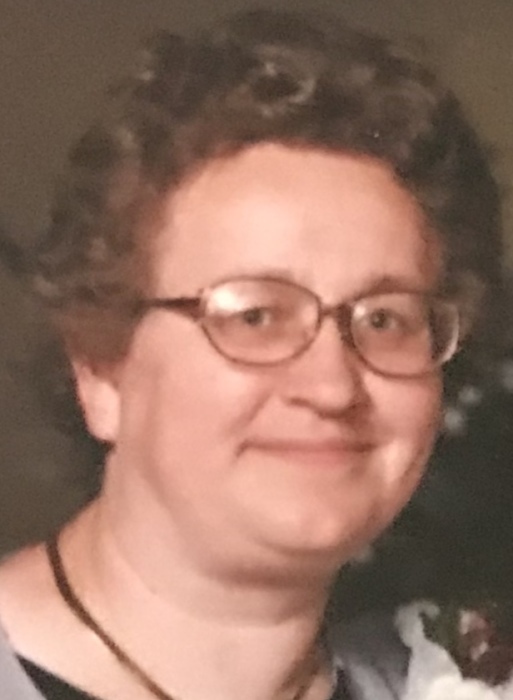 Donna will also be remembered by her sisters, Sandy Fercho, Jean Alexander (Dave), Marlene Heinle, Diane Lee; her brothers, Billy Gruszie and Duane Gruszie; and nieces and nephews. Donna is preceded in death by her parents, Edwin and Ella Gruszie, and her father-in-law, Ernest Heinle. A Memorial Service will be held at 10:30 AM on Friday, July 13, 2018 at First Lutheran Church, Mandan ND. Burial will follow the service at Mandan Union Cemetery. A time of remembrance will be held on Thursday, July 12, 2018 for family at 5:00 PM and friends at 6:00 PM followed by a prayer service at 7:00 PM at Weigel Funeral Home in Mandan. Visitation will continue at the church one hour prior to the service on Friday.